Mainstream cryptocurrency adoption is one of the biggest problems which this sector faces today. Coinbase’s newly announced cryptocurrency index attempts to tackle this issue. Although the cryptocurrency market cap is near an all-time high, there has yet to be real moves toward widespread adoption. So far, many traditional investors have been quite adamant in not joining the cryptocurrency and blockchain space as an investor. This hesitation may be due to the risk and volatility of this asset class or the unreliability/safety which exchanges provide. Coinbase is making an attempt to solve this problem through their recently announced cryptocurrency index fund. This index fund, dubbed the “Coinbase Index Fund,” will have all the cryptocurrencies that Coinbase/GDAX currently has listed. These cryptocurrencies being Bitcoin, Ethereum, Litecoin, and Bitcoin Cash. This may seem like a vanilla cryptocurrency lineup with a lack of variety. However, Asiff Hirji, the president and chief operating officer of the exchange, further stated that they are still planning on adding more digital assets to the lineup in the future. This was expected from Coinbase, but a heads-up was a great move on their end, unlike the recent Bitcoin Cash debacle that gave the exchange a lot of negative publicity. This may be an implication that they are trying to compose a fund of a vast variety of digital assets in many subsectors. At the time of writing, the Coinbase Index Fund will consist of approximately 62% Bitcoin, 27% Ethereum, 7% Bitcoin Cash, and 4% Litecoin. The percentages of the index fund are based and weighted on the market cap of the included coins. According to the Coinbase Index Fund website, the fund will be re-balanced annually on January 1st. This means that the index fund will be adjusted based upon the market cap swings over the course of the year. 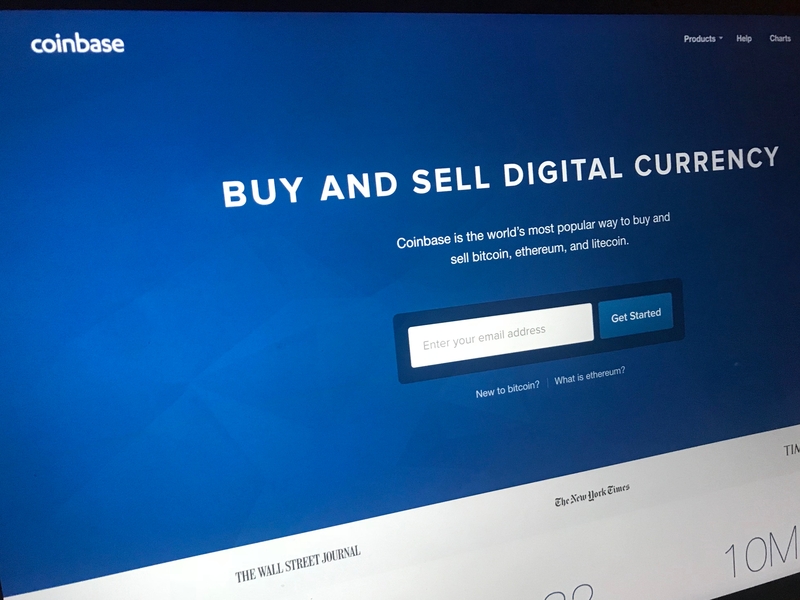 Coinbase has historically been one of the cryptocurrency exchange forerunners and has become a household name in the cryptocurrency space. Many people tout that the exchange was the first place that they ever bought Bitcoin, likely including a great many cryptocurrency investors you know. So what does this mean for their index fund? This means that since Coinbase is such an integral part of the cryptocurrency community, traditional media has its sights on Coinbase. The announcement of this index fund was live on CNBC TV. Although it may seem trivial that they announced this on live television, the announcement was broadcast to millions of people all over the world, with a potentially large majority of these people not being involved with the blockchain space. This means that a large potential user base was just exposed to a key player of the cryptocurrency space. This could have major ramifications for worldwide adoption of cryptocurrency. At this stage, investing in Coinbase Index Fund will only be available to US-residents, accredited investors. We’re working on launching more funds which are available to all investors and cover a broader range of digital assets. However, all of this great news is not coming without some hiccups. At the time of the index fund’s launch, Coinbase will only be opening the fund to accredited US investors. To be an accredited investor, you have to have a net worth of over $1 million dollars and an income of over $200,000. This seemingly exclusive prerequisite has minimized the amount of possible users participating in the fund on launch day. I would be remiss not to mention the impact these accredited investors have, but retail investors hold a lot of purchasing power as well. The quote from the Coinbase blog (seen above) noted how Coinbase is working on launching more funds that have more variety and availability for retail investors. Hopefully, these funds will be rolled out within the next few months with worldwide adoption following quickly thereafter. Would you invest into a fund like this? If not, tell us why in the comments below. Images courtesy of Flickr/@JonRussell, Twitter/@CNBCFastMoney, and Bitcoinist archives.